Say hello to LEO! Your new favorite nail, wellness, and massage salon nestled in the heart of North Park, San Diego. 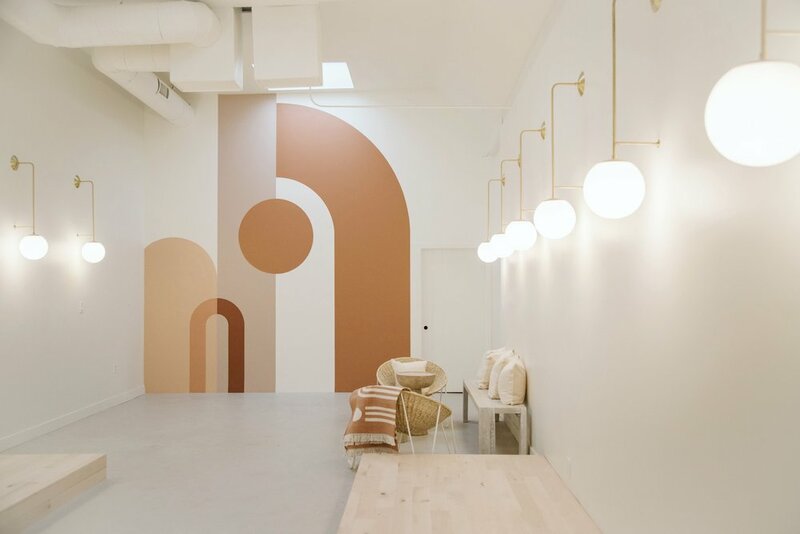 Leo was created with the intention of providing an experience and super-cozy space for one to come and treat themselves to some quality self-care, in style of course. The nail and massage salon options in San Diego (and really everywhere!) very obviously lacked a luxe, quality experience with a more modern approach and aesthetic. Trips to get your nails done or a massage should feel like a treat, not a chore and this is where the idea of Leo was born. 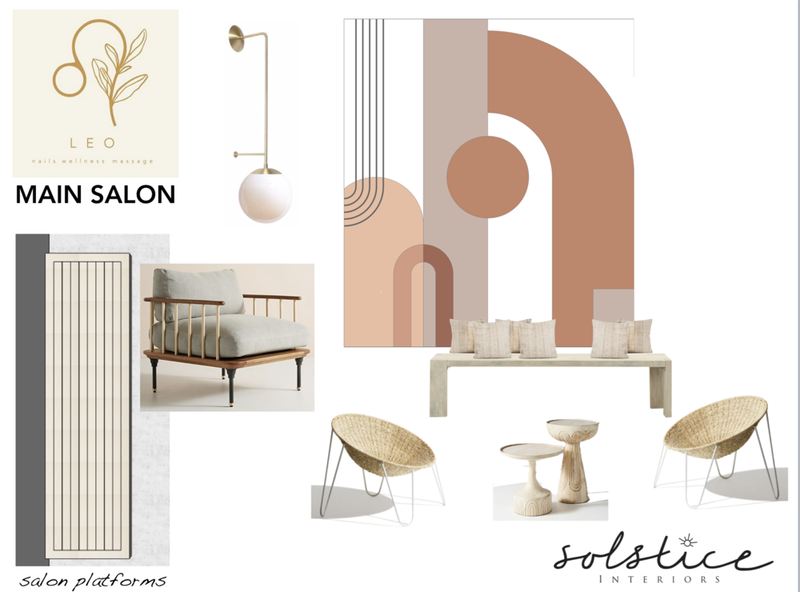 Initial concept board for Leo’s main salon, including the pedicure chairs that line each wall and one of the lounge areas. Aside from being able to create this beautiful space which I know people will leave feeling revitalized and rejuvenated - and counting down the days until they get to go back - so much love and thought went into each and every area. From the generally neutral palette and fabrics intended to provide a soothing sense of comfort (aside from our main ‘wow-factor’ of a mural from the amazing Betty Larkin) to the custom tea blends for clients crafted by the owner of Leo, no detail went overlooked. There will be much more to come on this space, so stay tuned for the full project reveal! Leo will be softly opening on December 9th, and officially on December 15th. For now, enjoy these dreamy sneak peeks. Head over to Leo’s website to learn more & book an appointment here!